All acne sufferers are in search of the best acne treatment. As acne and pimples have a variety of triggers, different people need different treatments. Unfortunately, what works for one person may do little to help another. Still, there are certain products that are widely known to help treat blemishes. Many people use a combination of acne treatments for the best results. If you find one method is not working after a period of time, try a new one. In addition, it's always a good idea to seek the advice of a healthcare professional before attempting to self-treat acne flare-ups to prevent allergic reactions or potential side effects. Many people find success battling acne in over the counter products available from local drugstores. If your acne is mild to moderate, these typically inexpensive treatments may offer relief from this annoying skin condition. Some people, however, need stronger medications to fight stubborn pimples, and for these acne sufferers, a visit to a dermatologist may be the best way to combat the problem. These acne fighters are often available at drugstores, discount stores, health stores, and online. Biore Pore Unclogging Scrub: Use daily after removing makeup or as a daily wash at night. This oil-free scrub removes dirt, oil, and blackheads from the skin's pores and also exfoliates dead skin cells. With daily use, Biore Pore Unclogging Scrub keeps your face clean and clear. Dermaclear: This is an easy, one step acne wash that is, according to the manufacturer, guaranteed to clear up acne breakouts and prevent new flare-ups from occurring. The active ingredients include laurel sulfate, allantoin, salicylic and tartaric acids, and 8-HO Quinoline. As a one-step formulation, it saves you time and money over other regimens that require more steps to be effective. Phisoderm Anti-Blemish Gel Facial Wash: Your skin receives a thorough cleansing, and the tingling sensation is a signal that the gel is working. This foaming, oil-free cleanser fights blemishes with salicylic acid and also sloughs off dead skin cells. The gentle formula is recommended for all skin types and is not drying. Proactiv Renewing Cleanser: Touted by celebrities such as Kelly Clarkson, Jessica Simpson, Britney Spears, and Vanessa Williams, Proactiv is one of the better known acne treatments due to a large media presence, both on television and the Internet. Although it is much more expensive than your average drugstore fare, many satisfied customers attest to the product's effectiveness. Proactiv is designed to treat existing acne, but also to prevent new blemishes from forming. The renewing cleanser is part of the basic system, which also includes a revitalizing toner and a repairing lotion. Zenmed Derma Cleanse: With a formulation based on the belief that acne is caused by the body's impurities, this product fights acne by treating both the internal and external components. The all-natural capsules work to detox the body while a salicylic acid and witch hazel topical gel treats existing acne. According to the Acne Help Center at WebMD, the multi-pronged approach that Proactiv and Derma Cleanse take is an effective way to combat blemishes. Most spot treatments contain benzoyl peroxide in solutions from 2% to 10%. Studies have shown it to be an effective acne treatment according to ClinicalTrials.gov. It can be applied in a cream, gel, cleanser, or pad. Begin by applying once a day and increase to twice daily if you experience no irritation. Clean and Clear® Persa-Gel® 10 Acne Medication: Persa-Gel® 10 is a unique topical acne product that goes to work on stubborn breakouts immediately. This prescription-strength formula is fragrance free, helps to prevent future breakouts, and is non-drying to the skin. Many users of Persa-Gel 10 see results in less than a week, some within 24 hours. .
Dr. Dennis Gross Skincare Correct and Perfect Spot Treatment: Use this tinted treatment to noticeably shrink blemishes. Be aware that it is only intended for use on existing blemishes as the manufacturer does not recommend using it on unaffected areas. DDF BP 5% with Tea Tree Oil: Dab on affected areas to treat them with this acne treatment, which contains anti-bacterial and anti-inflammatory agents for fast results. Astara Blue Flame Purification Mask promises to clear up existing acne as well as prevent future breakouts. Its light lavender scent doubles as an anti-stress aromatherapy treatment, and the 10 to 15 minute recommended drying time gives you an excuse to relax and unwind. It can also be used as an overnight acne spot treatment. At around $40 for a 2.2 ounce jar, it is pricier than many acne-fighting facial masks, but many satisfied users find it to be worth the money. 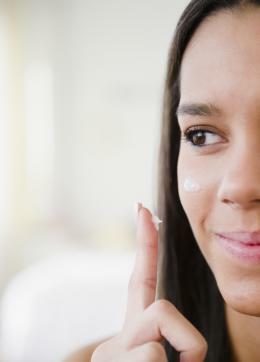 The two most popular manufacturers of retinoid products for acne are Retin-A and Differin. Only available with a doctor's prescription, retinoids are the best acne treatments for more serious comedonal acne. WebMD states that these medications are very effective at cleaning pores and reducing the severity of subsequent breakouts. This product must only be used at night as sun inactivates the chemical compounds. It works best when used in combination with other treatments and works by reducing the inflammation of the skin. 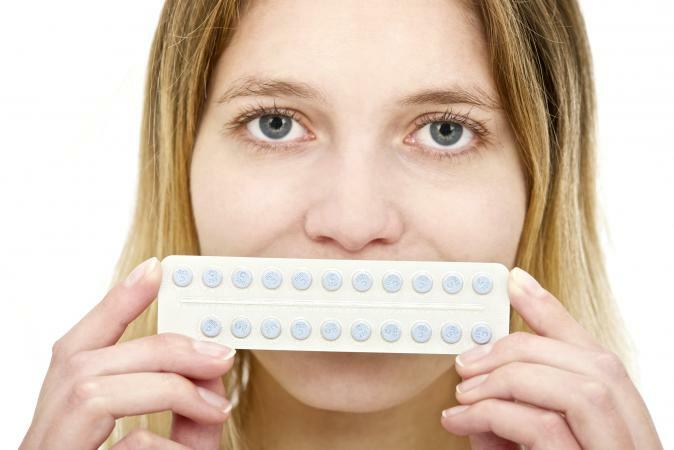 Oral contraceptives are also used to improve acne in some women, according to Mayo Clinic. If you are a woman over the age of 16, it is possible that hormones are at the root of your acne problems. In some cases, a doctor will take a blood test to determine whether or not there is a hormonal imbalance. Therefore, if hormones are a suspected culprit, it might be worth trying either oral birth control or another type of prescription hormone control. Prescription medications often contain some of the same active ingredients as over-the-counter treatments, but in a much higher dosage. For example, benzoyl peroxide is found in such common and inexpensive over-the-counter treatments such as Clearasil. It is found in a much stronger concentration in many other prescription creams. Benzaclin: This acne cream combines benzoyl peroxide and clindamycin. Some people experience redness and skin irritation in the first few days of use. Benzac AC Gel: This gel-based formula consists of benzoyl peroxide and antibacterials. Dalacin T Topical: This lotion contains the antibiotic clindamycin. Clindoxyl Gel: Another formulation of benzoyl peroxide and clindamycin, Clindoxyl is prescribed for patients with moderate acne and pus-filled outbreaks. Even mild cases of acne can be distressing, no matter your age. Unfortunately for many people, pimples don't go away once they leave their teen years behind. Whether you only need drugstore acne treatments or your case requires medication prescribed by a doctor, you can try to prevent pimples as much as possible, in order to enjoy a clearer complexion that you're proud of.